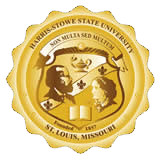 The Admissions team at Harris-Stowe State University is dedicated to assisting you or your student with the admissions application process. Please feel free to contact us with any questions that you may have. Why I chose Harris-Stowe State University: We provide a world-class education at an affordable price, helping students keep debt to a minimum. Favorite Place to eat in St. Louis: A southern girl loves her southern food. The Southern or Sugarfire can't be beat! Why I chose Harris-Stowe State University: I chose HSSU for multiple reasons: most affordable degrees in Missouri, longevity, HSSU celebrates 160 years in 2017, and Dr. Warmack’s vision to inspire change by always being student centered, student focused, and student driven. Commencement is always my favorite event of the year! Favorite Place to Eat in St. Louis: Rosalita’s Cantina always delivers a wonderful TexMex meal! Why I chose Harris-Stowe State University: I have always been passionate about people obtaining higher education. Harris-Stowe felt like a family environment and a place where students would never be in search of resources or people who genuinely cared about them succeeding inside and outside of the classroom. I just really wanted to let students know that there was a place where a second chance was valued just as much as the first. Fun fact: I built an entire model city out of cardboard and plastic bottles as a recycling project. This text messaging service gives you the option to subscribe to receive text messages from the Harris-Stowe State University ("HSSU") on your mobile device regarding the HSSU admission process. Subscribing to this service is not required to apply for or gain admission to HSSU. If you consent to receive text messages from HSSU, the HSSU Office of Admissions will send you periodic texts regarding your application status, financial aid deadlines, and event details. This service is to provide you information via text messaging about matters that HSSU deems helpful and pertinent to the HSSU’s admission process. All mobile information you share with HSSU will remain confidential and will only be used by HSSU representatives to assist you in a more efficient manner regarding the admission process. HSSU does not share phone numbers with external sources. Other offices, departments, or organizations at HSSU may collect and use information in forms different than described herein, and as such, you should contact the respective department/office for additional information. All costs associated with receiving a text message are the responsibility of the individual receiving the message. Receiving mobile text messages from HSSU is completely free of charge. However, standard text messaging rates from your wireless carrier still apply. Check with your mobile operator for details on receiving text messages (SMS). All users may opt out or unsubscribe from receiving text messages from the HSSU Office of Admissions at any time by responding to the text message itself or by contacting the Office of Admissions at Admissions@hssu.edu. If you elect to opt out, you will no longer receive text messages from the HSSU Office of Admissions unless you were to re-subscribe to such services. As technology is ever changing, HSSU cannot guarantee that the information visitors transmit electronically is completely secure. HSSU makes every effort to protect the privacy of its users, however, HSSU cannot guarantee the security of information that users transmit and users transmit such information at their own risk. Acceptance of this policy is a condition of the use of the text messaging services and users agree to be bound by its terms and conditions. The resolution of any disputes concerning this policy are subject to and governed by the laws of the State of Missouri. HSSU may make changes to this policy to comply with necessary legal and regulatory requirements, or in instances where HSSU upgrades or alters its technological services. HSSU recommends users review its policies occasionally to familiarize themselves with any such changes or alterations. If you have any questions about this policy or the HSSU admission process, please contact the HSSU Office of Admissions at Admissions@hssu.edu.